Signed 19 year old RHP Cristofer Adames from the D.R. 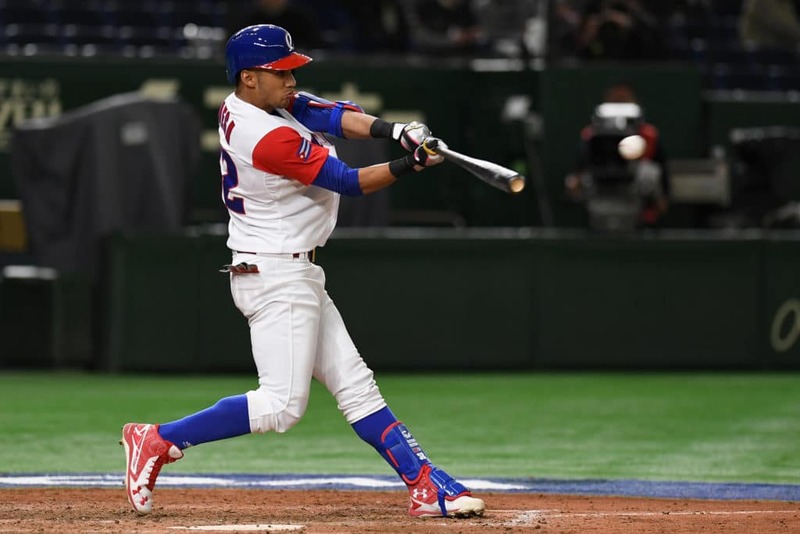 This MLB international story seems to be gathering some steam. Note the Dodgers look really bad here and Kapler was their head of player development (and did not comment for the article). Apparently the Dodgers did a 1-5 ranking of the "perceived level of egregious behaviour" of their international scouts. Not sure why the writer would seek Kapler out except for the fact that he is now a prominent manager. You wouldn't interview Joe Jordan (or even Almaraz) about Sal's scouts. Is there something specific linking him to it? No idea where Kapler fit into the decision tree. DIrector of player development usually does not have much of a say in international signings. Of course Kapler was a really odd person for the Dodgers to hire as their head of player development since he did not have a whole lot of experience there. It is possible that running the Dominican complexes would be a job that reported to him. Or the 1-5 egregious behavior index was advanced analytics. Since it was put together in 2015, sounds like new people were concerned about the organization they inherited and wanted to identify who they needed to distance themselves from in the future. 08/10/18	Philadelphia Phillies signed free agent SS Carlos Rondon to a minor league contract. 10/08/18	Philadelphia Phillies signed free agent RHP Carlo Reyes to a minor league contract. Rondon was previously reported as signed by Jim Peyton at PhuturePhillies - but as of two days ago, his signing had not appeared on the mlb.com listings... so they're still playing catch up. As of now, I have three additional names that Jim has reported, that have not appeared on the mlb.com listings: Joalbert Angulo, Fernando Ortega, and Kevin Escalante. Fernando Ortega was the guy in the first J2 press release that never formally showed up on the signing lists (though is probably more than a token bonus since he was in that first batch). I agree, there's probably a real bonus there. Obviously, I don't know whether the signing was not approved by the Commissioner's Office for some reason (happens occasionally), or whether he backed out... or whether it's just one of the ones that mlb.com hasn't gotten around to actually posting on the web site. I check the July through October transactions listings every couple of days, looking for back-fills. That's how I discovered the Rondon listing - it's there today, wasn't there the last time I looked (Sunday?). I thought Ortega might have been in the late birthday group (July and August of 2002) but it looks like we have nobody so far that would have been a later signing for that reason. Mexico signings of course are delayed. Assume we will add a few lower dollar players from Australia, Colombia, and Panama also as we usually do. I'm sure the list will grow - this summer, international signings were occurring pretty much right up to the deadline (June 15, if I recall correctly). and Ortega celebrates with his 17th birthday today. good for him and best of luck. a gem i hope. Lots of maneuvering on the Victor Mesa Mesa front. Orioles have $6.5 million available but Miami just made 2 trades to have $6 million. There is a consolation prize for whichever team loses the Mesas in Sandy Gaston (16 year old LHP that throws 96). The Mesa prospects are reportedly a package deal and Miami was using location as the big marketing pitch and I can't imagine they would do this if they were not going to get him. So that Orioles trade to the Phillies of $750K is looking pretty stupid now if they only get Gaston (and that is even no guarantee). Among the trades was Barraclough to the Nats. Not sure he is too much of a loss with his lack of control. Miami continues to beef up its efforts — and still could do more — in hopes of signing three young highly touted Cuban stars. 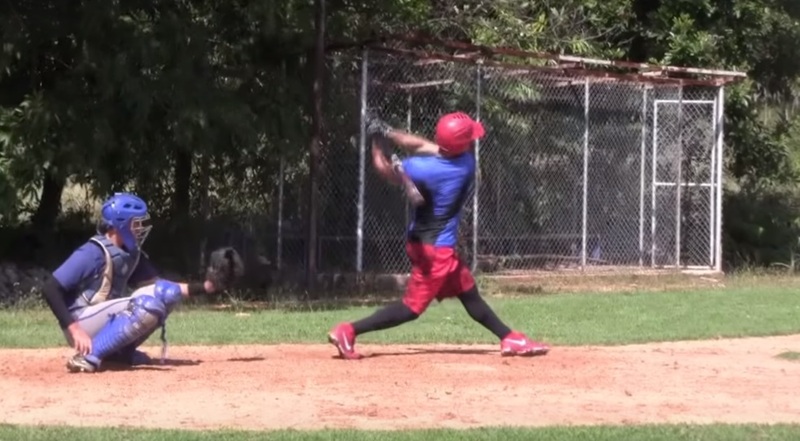 Marlins end up with the Mesa brothers for $5.25 and $1.0 million. Orioles must be feeling pretty low at this time. Assume they will now overpay Gaston to get something (rumored now $2 million plus). Also, Kikuchi's season is over in Japan and he is likely to be posted. So another trade to the Orioles for their remaining allocation? One could argue that the Orioles blew the chance to get Mesa because of the trade with the Phillies. They had a cash advantage on Miami up till that point. Of course most Cubans would probably prefer to play in Miami so who knows. It is pretty clear however that the Orioles have perhaps the worst player development system in baseball. Certainly on the international side. It is pretty embarrassing. FWIW it says Gaston is pretty comparable to Starlyn Castillo, the guy we signed for $1.5 million. I expect the Orioles or Rays to overpay in the $2.0 to $2.5 million range since he is the last top 30 prospect left standing (except for a Mexican prospect or two). I assume he could sign now if he wanted to, though another tweet says he’s likely to sign overseas after graduating. I think he was mentioned in that one July tweet - but since then I have just seen a dozen posts on PhuturePhillies about him. Does not seem like a guy that would demand high dollars at least. Who knows if we are serious about him. It is going to be hard to keep track of these names. The two Taiwanese pitchers we signed are Hsin-Chieh Lin (from last year) and Chi-Ling Hsu (from this year's J2 class). I am never going to be able to keep those two straight when I look at box scores and variations of their name in articles where the surname is in a different place. Hard to say- he’s a lefty throwing in the low 90s with what looks like a clean motion, command, and facing decent competition. The record bonus to a Taiwanese pitcher is about $700k. Except this comment was posted on PhuturePhillies (from the comments on one of the videos): "Kid need a new elbow Another good young pitcher got overused by his university/ junior national team before turning pro. He was able to hit 148kph with his fastball, now he can barely break 140kph. 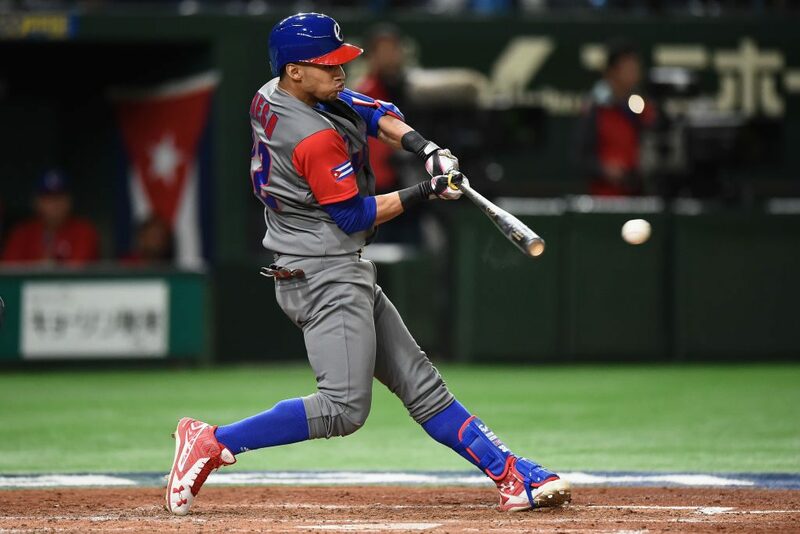 (92 mph=148kph…..87 mph=140kph)"
Still may be worth signing but would not be the last player to touch 92 in HS and settle back into the high 80s as he matures. Seems to be a good athlete that can play the field. I also assume other teams were looking at him back in July so it is not as if we are the favorites for him. Rays get Gaston for $2.61 million. Orioles once again the laughing stock of baseball. Probably ready to dump their remaining allocations for pennies on the dollar. 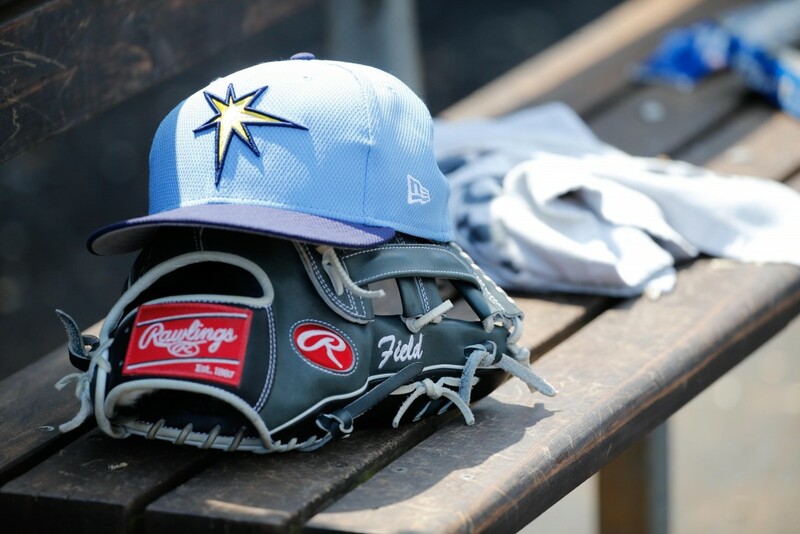 The Rays officially signed 16-year-old Cuban right-hander Sandy Gaston on Thursday. Read more at MLB Trade Rumors.